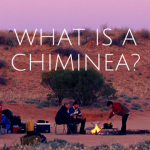 If you are buying a chiminea for the first time, you are probably wondering exactly what kind of chiminea you should buy. 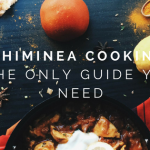 This chiminea buying guide has the answers you need. These lovely outdoor fireplaces are a lasting delight that many people have added to their homes already. Whether you have chosen to purchase one as an accent to your living space or decide you want a fully functional outdoor fireplace, you will certainly not regret doing so. • What do I want to do with my chiminea? • What type of chiminea would suit my needs? • What kind of design do I want for my chiminea? • Can my chiminea be used for something other than burning? • Will my chiminea be inside or outside? • What will the maintenance be like? • Would I rather use a wood burner or gas burner? • Can I keep my chiminea outside all year? • Will I need a special platform for my chiminea? These questions may seem complicated, but they all boil down to one decision that you need to make. What material do you want your chiminea to be made of? 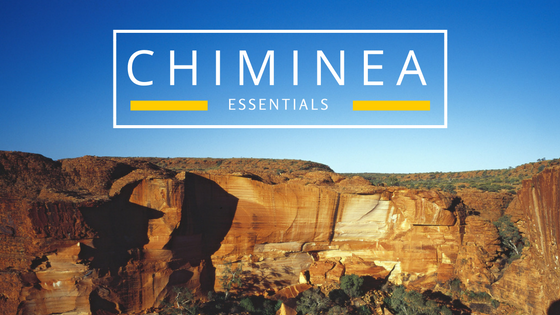 Below we have outlined several types of chimineas and their features in order to make your decision as simple as possible. Chimineas are made of several different materials and vary in design from smaller and more basic, to larger, one-time placement styles. The usefulness and life of each chiminea depend heavily on what material it is created from. For example, a clay chiminea would be a poor choice for a year-round outdoor fireplace that you do not plan to cover during the winter or when it rains, while a cast aluminum chiminea would hold up to both without much effort. Clay chimineas are the oldest construction type. They are made from wet clay and crafted from two pieces which are joined at a seam and then kiln-dried. These chimineas are heavy, susceptible to wet and cold conditions, and have existed since the mid 17th century according to the Natural Handyman. Now that we have shown a variety of the uses for clay chimineas, let’s discuss their care and upkeep. These chimineas require careful handling, as they are a two piece unit that is joined at a seam located where the fire bowl and the stack meet. This makes them more prone to breaking when moved, as that seam is the weakest point on these heavy objects. It is best to place them once, with no plans to move them in the future. Clay chimineas require a large amount of upkeep, as listed above. However, if you prefer the old-world look, they may be exactly what you are looking for. In consideration of appearance and old-world style there is another material that could create the antique look you desire for your design. Copper chimineas have been popping up as a very respectable option for designs that are functional, yet over time will gain a patina denoting age and distinction. Copper chimineas, while not necessarily suggested for heavy use, make a lovely center piece to designs that need an antiqued appearance such as themed garden corners and cozy fire nooks. While these chimineas are functional, they do fall prey to maintenance and repair costs due to worn pop rivets. The cost of copper is certainly worth it if you do not mind the greenish tint and patina that are inevitably going to appear over time. Cast-iron chimineas can be used as they were intended, as outdoor fireplaces. These lovely pieces of art are designed to far outlast their clay counterparts and do so very well. It is worth noting that a cast-iron chiminea if properly maintained, can and will outlast its owner. Proper resealing of the chiminea will be necessary to keep it in good working order and to avoid corrosion of the fire bowl and stack. If you wish to purchase a cast-iron chiminea for your home, be sure to check that it is purely cast-iron construction in order to avoid the added maintenance and cost that the alternatives will require. Alternatives include cast-iron fire bowls that feature a stack made of stainless steel or sheet metal and have a more limited life-span than their single material counterparts. As mentioned, a quality cast-iron chiminea will outlast its owner, however, those made of dual-material construction may not last through the next season due to advanced wear and tear. Although they are not as long-lasting as more robust types, these chimineas are fairly cheap to replace and plentiful to find. They are the perfect choice for a weekend event or a simple outdoor fireplace that you do not mind replacing if needed. They also come in a variety of designs, giving you the chance to purchase more than one and swap out designs without a heavy cost. • Will not rust or corrode, therefore leaving your deck stain-free. Cast-aluminum chimineas are generally the go-to, as they can be found in both wood-burning and gas-burning varieties and hold up very well over time. The option for gas-burning allows this type of chiminea to be used indoors, giving it a far greater versatility than other material types. In addition, their minimal maintenance makes them ideal for those who do not want a chiminea that has to be pampered the way other types do. Now that you’ve chosen which type of chiminea you want, here are a few details to consider which affect all types of chimineas. These points are important, as they will be necessary for proper placement and use of the chiminea you have chosen. All chimineas must be placed on a stand if they are not crafted with built on legs. This is essential, as the fire bowl of the chiminea can become dangerously hot and present a fire hazard if placed directly on the floor. They also need to be placed carefully, without flammable materials such as branches nearby. This safety precaution is important, no matter what material type you have chosen. In addition to a stand for legless chimineas, you will want to place the chiminea on a fire-safe base. This can be any number of things, but the most common are terracotta tile, concrete, or leveled sand. No matter what type of base you choose, you must make sure it is level, as you do not want your chiminea falling over. Is a gas-burner or wood-burning chiminea right for you? If you plan to have your chiminea inside, you will need a gas-burning chiminea, as there is no way to properly vent a wood-burning chiminea in the home. If your plan is to use the chiminea solely on your wooden porch, a gas-burner would also be appropriate, as you will avoid any sparks that would come with a wood-burning chiminea. However, if you plan to use your chiminea as the focal point to a social circle, a wood-burning chiminea would easily suit your needs and would allow you to adjust the warmth of the fire by simply adding a stick or two. It does not take a large fire to make a warm chiminea, which is one of the handy features that have made them popular for centuries. No matter what type of material your chiminea is made from, you will have to season it properly. This involves about a week long process of lighting small fires in the fire bowl and allowing them to burn entirely down. Once the fire has burned down, allow the chiminea to cool completely, then repeat the process. Continuing this for about seven days will create a coating on the inside of the fire bowl that will protect the chiminea from the heat that wood fires can create. This is important, as you want your chiminea to last, not to crack on the first real use. The last thing to remember is to enjoy your chiminea. These lovely outdoor fireplaces are an investment of more than just money and offer to provide many great memories for you and your family. Take advantage of these moments every chance you get and make the most out of your time and your investment. Thank you for reading our chiminea buying guide. We wish you the best as you choose a chiminea!